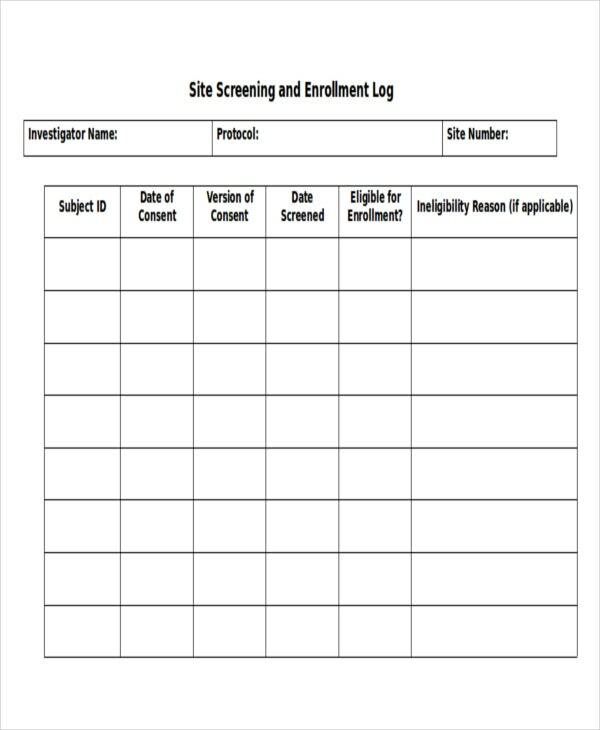 Logs or log files are the documents with official records and/or timely entries. Log entries can happen electronically and/or manually. A log template is a document that paves the way to design a perfect log file.There are many log templates available on our website. 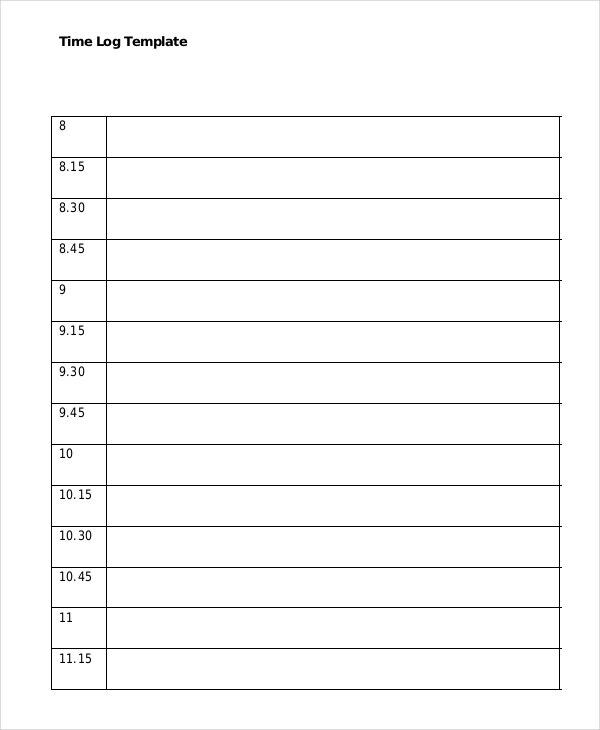 You may also see Best Reading Log Templates. Are you suffering from eating disorders? Then it’s time to track your diet. 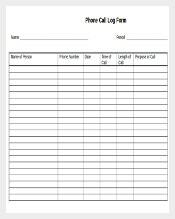 One of the most therapeutic tools used to record your food habits is Food Log Templates. 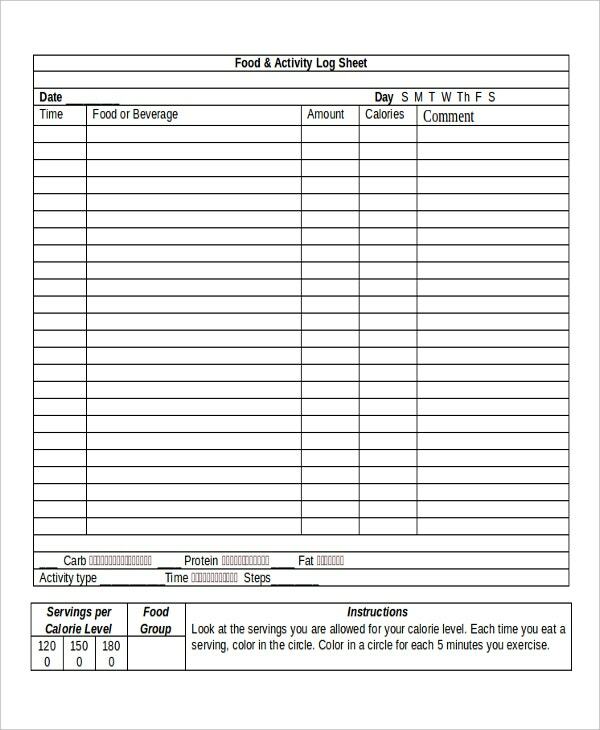 Our food log templates are tech-friendly. You can share them easily with your dieticians. They do much more than just tracking your food intake. Are you a fitness freak? 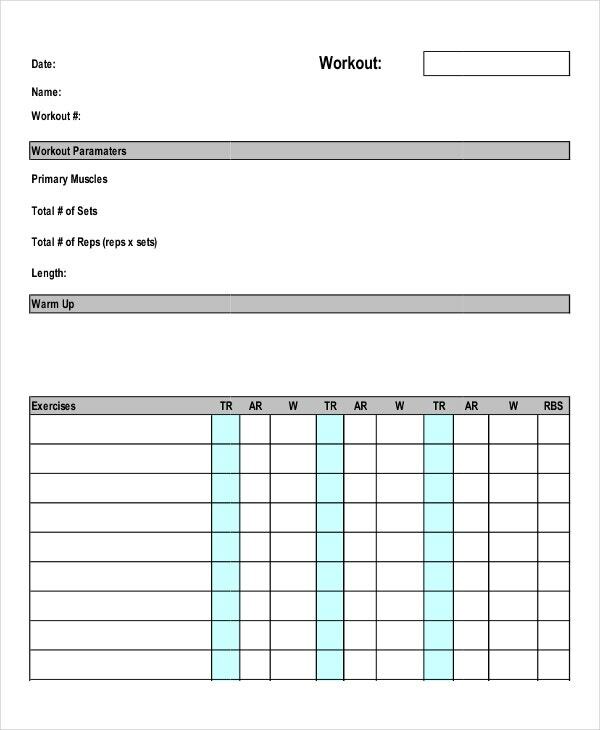 Then hit the gym with our workout log templates. 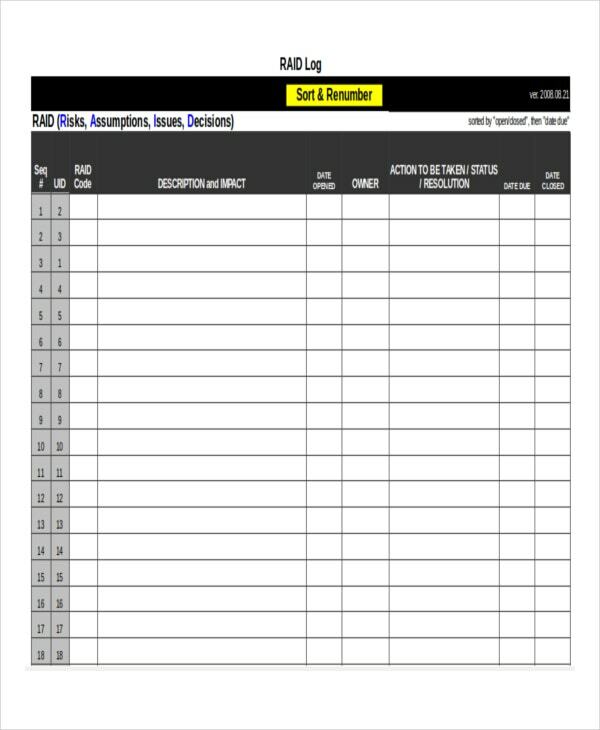 With our templates, you can make a log of all your Workout Log Templates including cardio, weights, pilates or any other form of exercise. You can choose the templates from various display devices like computers and smartphones of all kinds. Are you unable to maintain the equipment and other inventory of your factory? It’s a fact that iron and other metals get rusty and dusty over a period of time if they are not taken care of. 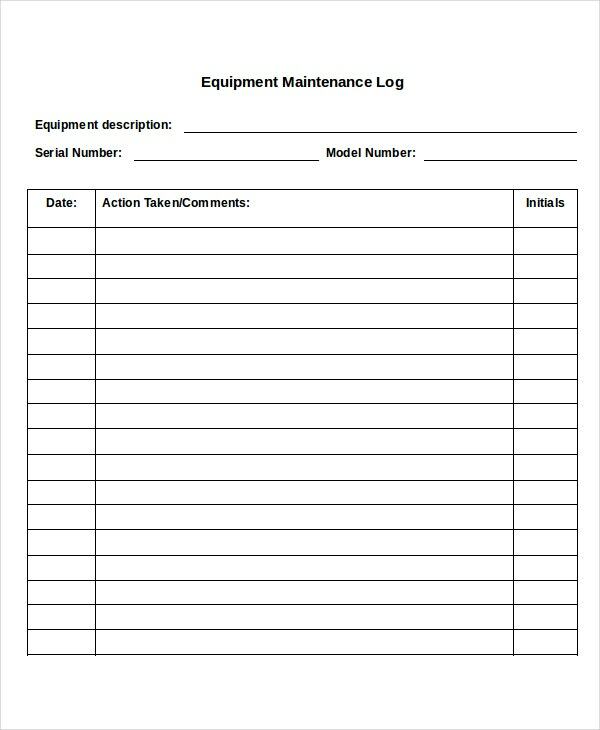 Our Maintenance Log Templates help you keep track of your Maintenance Log Templates schedule, especially if you are serious about your maintenance. Word Log Templates are templates designed in Word. They could be Microsoft Word, Google Docs, LibreOffice Writer, or any other format that supports Word. 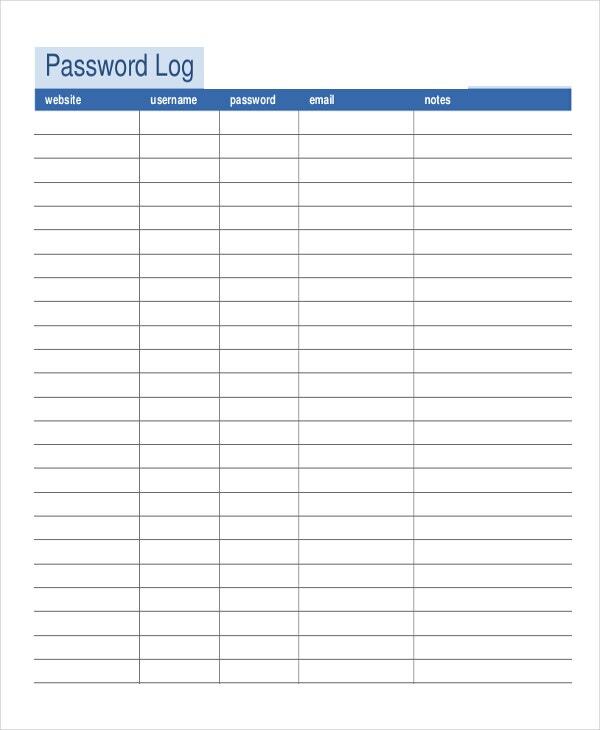 Our Word Log Templates can be used for any kind of Log Templates from Password to Mileage. The flexibility of converting it into your desired format is always there. Do you want to make a call history of your office mobile? Our Call Log Templates are so scalable and they indeed are great records. 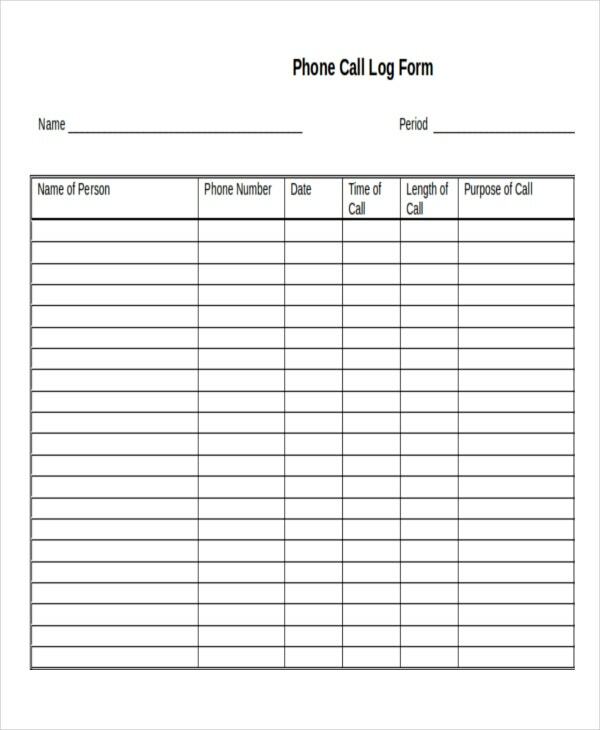 With our Call Log Templates you can record the calls so accurately – day wise, week wise, and month wise. Make your calls countable rather than counting your calls. Mileage Logs are fuel-friendly. Do you want to track the fuel consumption of your employees? 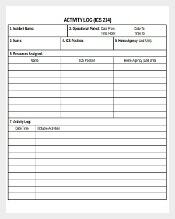 Bring the Mileage Log Templates into action. 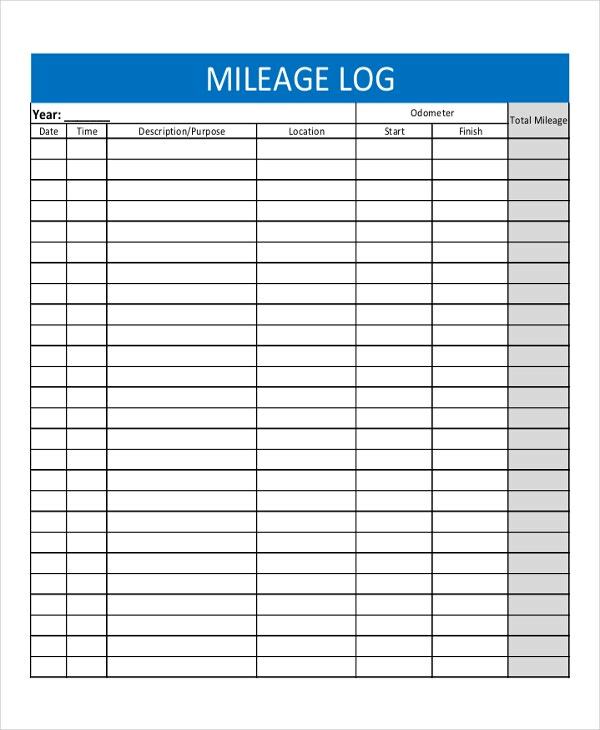 Our Mileage Log Templates help your employees record the Mileage of their vehicles in terms of Kilometers per liter, while they are touring on official work. Time Logs are mostly hourly logs. They help you, as a manager, to get a detailed picture of who is working on what, and since how long. Our Time Log templates are great crosscheckers. Start the practice of entering the time log before the beginning of each task or activity and after ending it. Everything else will automatically fall into place. Work Logs are cumulative reports. They merge the work hours spent on each task and gives you a consolidated report. Depending on the organization, they could be on an hourly basis, daily, weekly, bi-weekly, monthly, or on an annual basis. 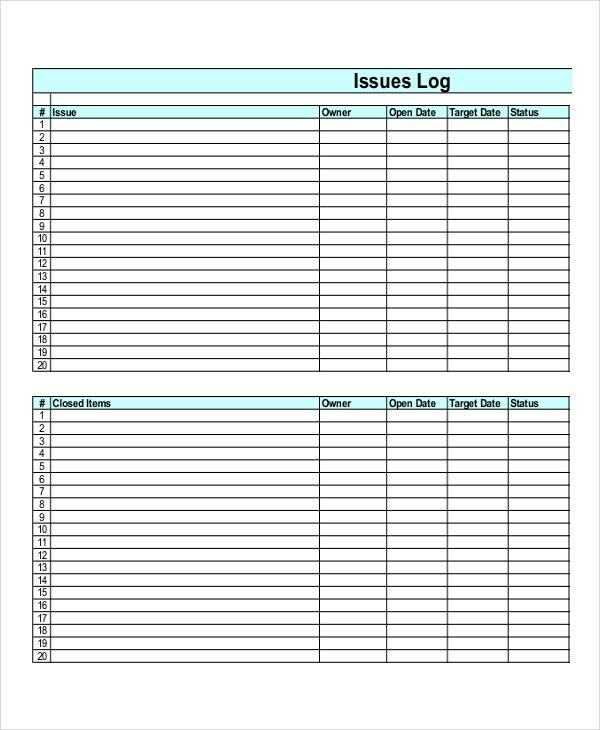 Our Work Log Templates are duly considered all over the web. Discover the ‘why’ by downloading one. 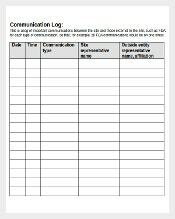 Communication Logs are generated to highlight and thus nullify the communication lapses. 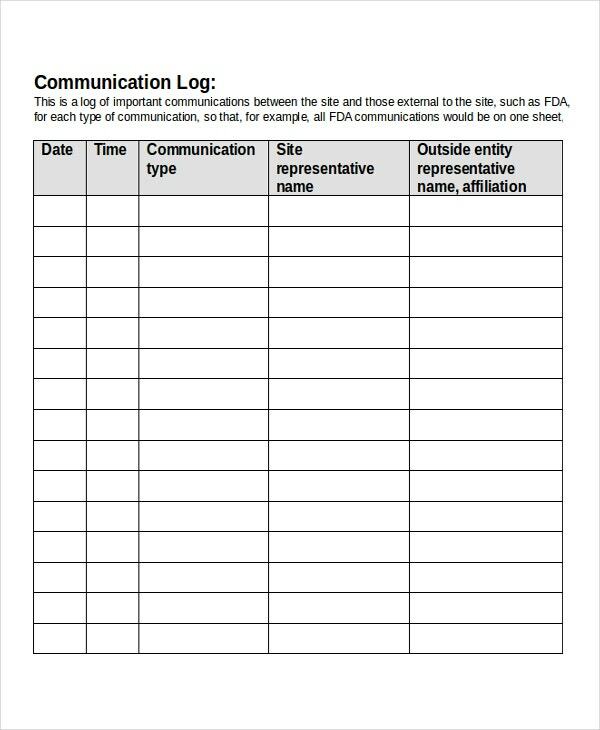 Our Communication Log Templates help you make logs for all forms of professional communication that comes under the umbrella. It includes Email, Memos, Telephone, Skype Calls etc. These logs are so convenient and lend their hand to complete the process of audition in the given time. 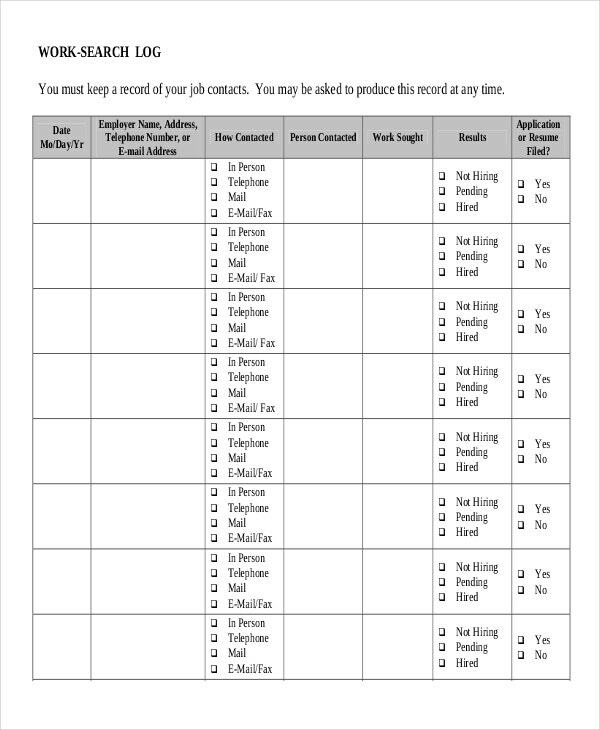 How much time are you spending to fill-up your work report? Is the report itself consuming much time of your day’s work? Then it’s time to rethink. Remember that those which don’t contribute much value to your productivity should be done in a quick manner. 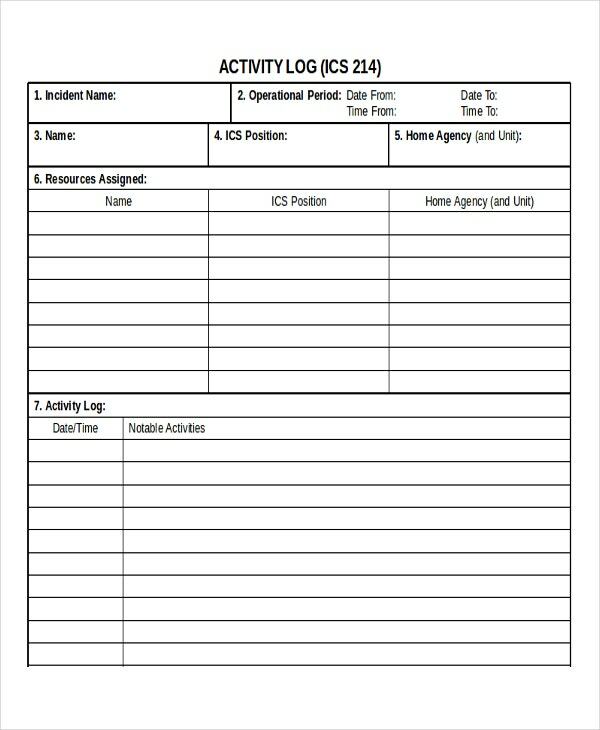 Bring your workplace, the smartest solutions in the form of our Activity Log Templates. With them, you can log the activity along with the status and time taken. In this digital era, where everything from mail to bank accounts is getting electronic, safe and secure browsing is essential to protect your privacy. Though most of the apps are password protected, remembering the passwords is a tricky job. But now, you no longer have to worry about remembering your passwords. Our Password Log Templates relieve you from the password insecurities. If you are in the service industry, you must cope up with the issues related to the customer relationship in one way or the other. However, if you are looking for a standard stone-like template for logging issues, working with sources you are unfamiliar with will just procrastinate your job. Rather download our templates which are referred and recommended by many worldwide. 1) Be clear about the kind of log template you are about to prepare. 2) Make sure that the template is having all the basic details such as date, time, location etc. 3) Remember that any initiation in the organization that sets forth to streamline the processes face obstination initially. Hence it needs much exertion to implement. The log templates are no more an exception. 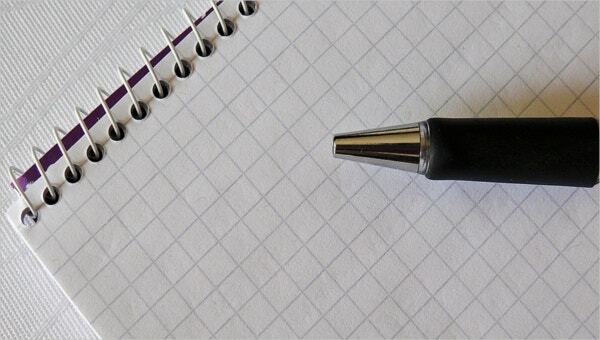 Log Templates, both hand-written and/or electronic, are useful to make noteworthy records. They are good for professional and/or personal usage. Particularly for organizations, these resources are helpful. If your template sources are keeping you waiting for hours together for downloading, just shift to our templates. You will definitely find the shift smoother. One way to describe our tour, unforgettable. Log entries help you identify the activities or elements that don’t add value to the core process and by doing so, you can replace the activity with something productive.